No ALA people on here? Not much discussion of him on here. I think he is easily the best suspect and has a ton of coincidental things that stack up. Re: No ALA people on here? ALA in my mind is undoubtedly the zodiac, theres just to much evidence for him not to be (i dont care thats its all circumstantial). The fact that alot of people believe it was not him and are still looking for that elusive suspect just proves how smart he really was. 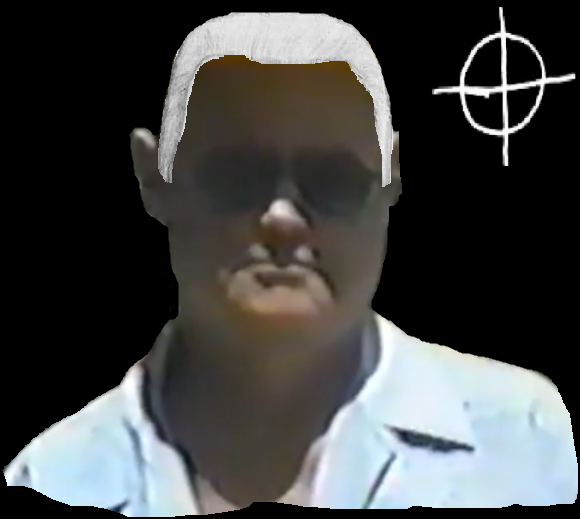 here is a rough picture i have put together with ala wearing sunglasses, as you can see the similarities to the police composite are very close! Allen is the best suspect on paper, hands down. Nobody should rule him out because of his DNA not being a match, because they aren't even sure they have ZODIAC's DNA. I think Manalli's DNA is what they got from that stamp.